in order to act as that character. This helps students to empathize with a greater range of people, including their peers, their families, and people in different walks of life. "It was so spectacular to see [our daughter] come out of her shell and perform like she did. The time we spent with her therapist helped us realize how much she has grown because of her experience here." 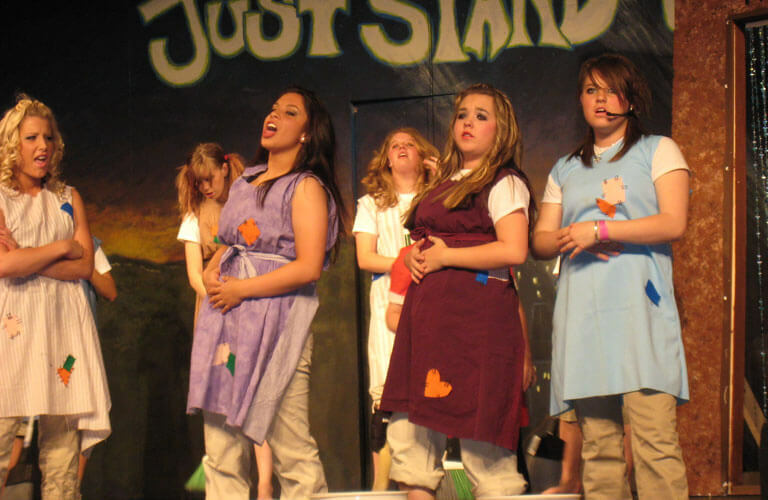 Drama Therapy groups are centered around letting students tell their stories and letting them step into the shoes of others to see the stories from a different point of view. Students take turns being actors, writers, and directors. For our parent’s seminar variety show, drama students are front and center. Performing in front of an audience can be intimidating to students, but being coached through it helps students to realize they have great potential. Everything on stage is what the students bring to the table, whether as actors, set builders, lighting and sound managers, or musicians.